1. This girl cracks me up. Wish I could pull off her dance moves. 2. This happened not too long ago, and honestly I’d be ok if it happened every single day. 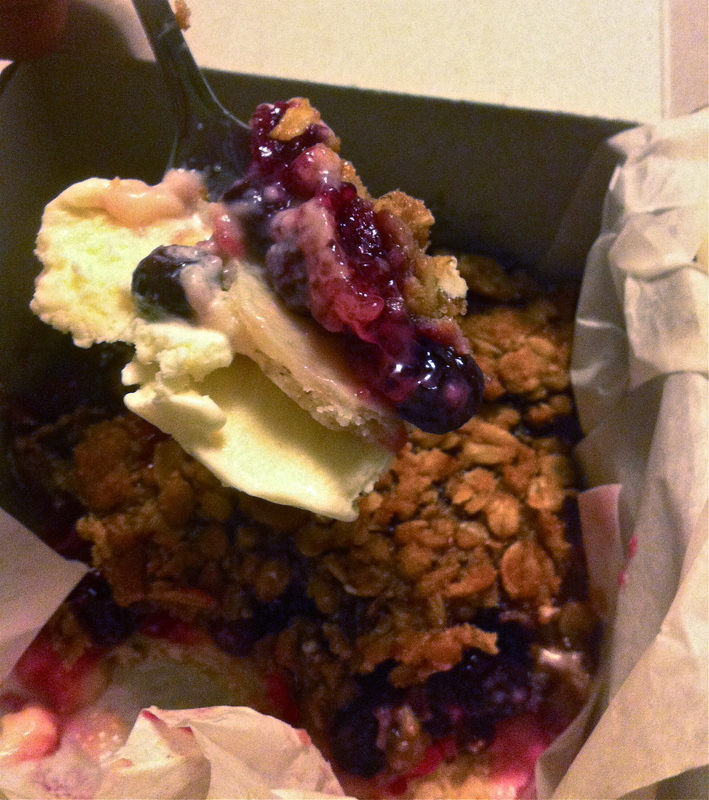 Blueberry Lemon Custard Gluten Free Pie w/ coconut vanilla ice cream. Yessss please. 3. I’ve wasted about 13.7 hours these past two days longing over this girl’s ahhmazing fashion sense. Let’s trade wardrobes, k? 4. All the rest of my time has been spent zoned out watching the Olympics. Really, badminton? If I knew it was an elite sport I would have tried harder in 12th grade PE. I’ve never seen people get so intense and sweaty from hitting a birdie around. Except Stephy, that girl got into it. 5. I painted my nails finally, which is something I love. It’s also something I hate because after waiting one hour to let them dry, I do the dishes and chip a nail. Then, 45 minutes later I go outside and mess around with the sprinkler, chipping another nail. Why do I bother? Oh ya, cause it’s one of the only things that I can do to make myself feel more put together. Besides wearing real clothes, brushing my hair, putting on makeup, and leaving the house. Why would I do any of those things. Not a clueeee. 6. Feed me this!! Now, please and thank you. *Edited to add: I caved, I made it. T’was delicious and perfect with yolky eggs. Mmmm. 7. Our dryer is still not working. So we still have no clean laundry. We did do one load in the wash and then take it to the laundromat to dry, but that just took to much work. So instead of doing that again we just went to the store and bought new underwear and socks. Should be good for another week. I know, classy. 8. I couldn’t sleep last night so I watched 8 episodes of Cheers. I don’t think I’d like to go somewhere where everybody knows my name. 9. CJ found this. What the crap?! 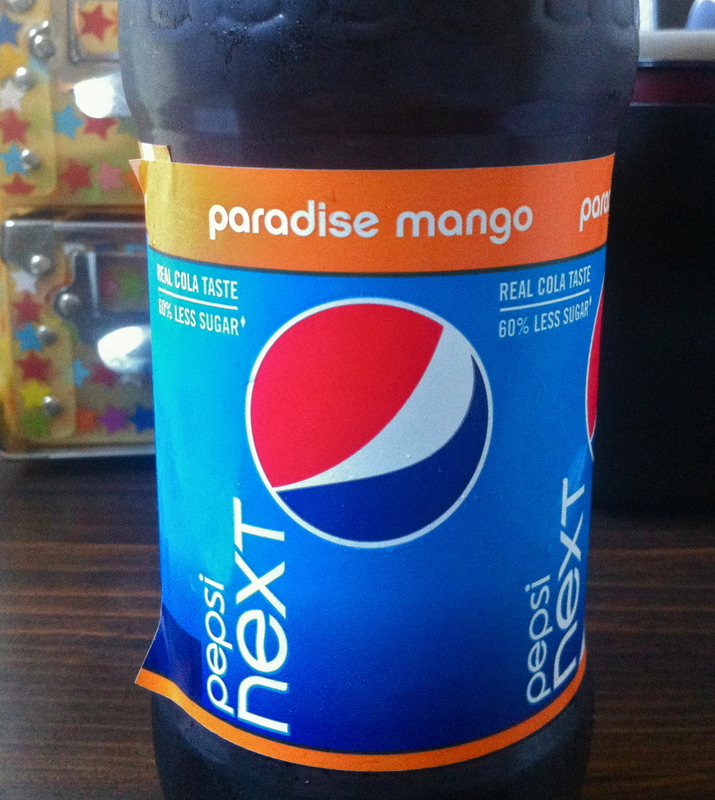 Mango soda. It’s weird, kinda tastes like a fruity vodka mixed with soda and minus that lovely alcohol burn. I applaude CJ for his paleo ways, but soda just seems to be one thing he can’t give up all the way. Don’t worry, I roll my eyes each and every time he comes home with one. It’ll work someday. I did!! with eggs it was a perfect dinner. Thank youu! !